What you need to know for your visit to our office. Being well-prepared for your appointment will ensure that the doctor has all of the needed information to provide the best possible care for you. It also will help relieve any unnecessary anxiety you may be feeling. If you have x-rays from your previous dentist, please make sure you have contacted that office to have x-rays transferred prior to your appointment date. If time doesn’t permit, you may need to personally pick up your x-rays and bring them with you the day of your appointment. 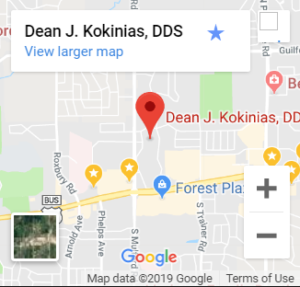 Without x-rays, it may be difficult for Dr. Kokinias to evaluate your dental health and provide a comprehensive treatment plan. Please download the forms below to complete the required patient registration forms. This will save time on the day of your appointment.